There were quite a few rumours in the last one month or so regarding the launch of the refurbished Samsung Galaxy Note 7. Keeping an end to all the speculations, Samsung went ahead and officially announced that they would release the discontinued Note 7 in select markets. It did not reveal the market names, though. 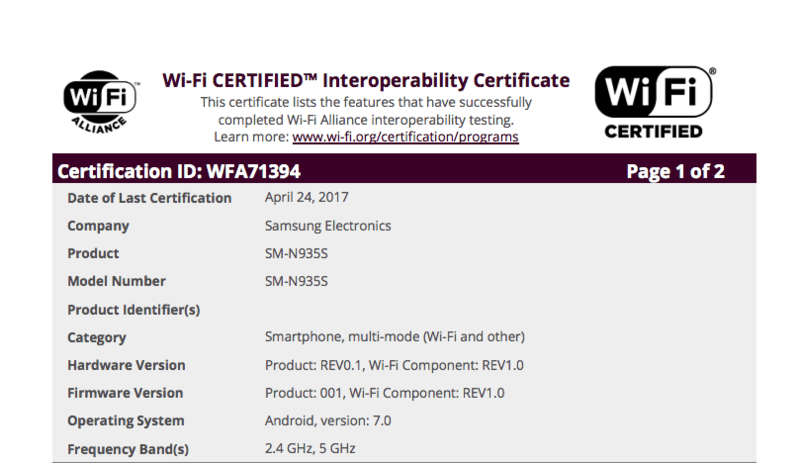 And today, the refurbished Galaxy Note 7 along with the original Galaxy Note 7 have received Wi-Fi certification from Wi-Fi Alliance, which means that the product launch is actually nearing. The original Note 7 carries the same model number of SM-N930F, and the refurbished variant will come with SM-N935S, and according to Sammobile, the ‘S’ at the end indicate that the model will be exclusive to South Korea, the company’s homeland. However, the phone was previously spotted in one of the major smartphone market Vietnam, and a user has allegedly posted a couple of images of the refurbished Note 7 revealed fundamental changes on the phone. 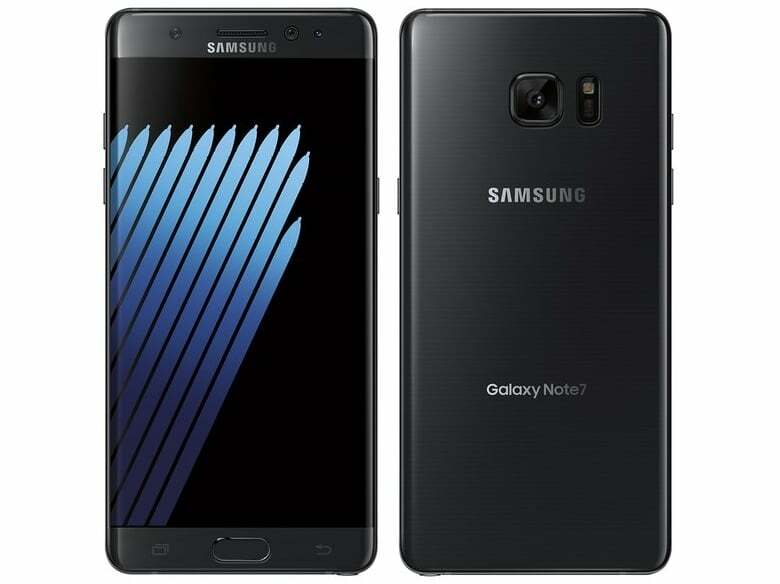 The Galaxy Note 7 certified by Wi-Fi Alliance runs Android Nougat, which means Samsung will release the phone with latest OS on board, whereas the original Note 7 was released with Android Marshmallow. Samsung is expected to trim down the battery capacity of the refurbished Galaxy Note 7. The leaked image from Vietnam claimed a 3200mAh battery unit in the phone. Samsung also said that it would take rigorous security checks before releasing the phone to the public again. It is also said that the refurbished phone will be priced just three to five percent less than the original Note 7. This essentially means that the phone will still cost around Rs. 50,000 in India. It completely makes sense for Samsung to price the device steeply as its counterpart LG released its LG G6 in India today with Snapdragon 821 SoC on board for Rs. 51,990. Samsung Galaxy Note 7 also packs in stellar hardware and has an almost similar camera as the Galaxy S8 series. The phone will surely be released in the country, after all, India is one of the biggest markets for Samsung and for any other vendor. What should the price of Galaxy Note 7 be according to you? Let us know in the comments space below. At least Samsung is trying to sell refurbished Note 7 in the market. But in case of the worst companies like xiaomi, vivo, oppo etc, they will fix the parts of the affected handset and sell as a different model number saying outside that they have completely abandoned the affected handset. LOL. This paid agent will not purchase anything, but will tell others to purchase costly without caring if it hurts them as long as Samsung profits, while he disgustingly degrades other companies who have not manufactured any like Samsung. Nonsense agent. And just a 5-7% drop in price for the same is shameful.